This isn’t a direct promotion for sweetgreen, but more an indirect way to save on one of the popular fast casual chain’s delicious salads. If you love sweetgreen like we do, are a MealPal member, and live near a sweetgreen then you’re in luck. That’s because we’ve noticed in our MealPal lunch offerings that sweetgreen will offer up a variety of their popular salads – a different salad each day of the week. We’ve seen Kale Caesar with Chicken, Shroomami, Harvest Bowl, and Guacamole Greens pop up for us. 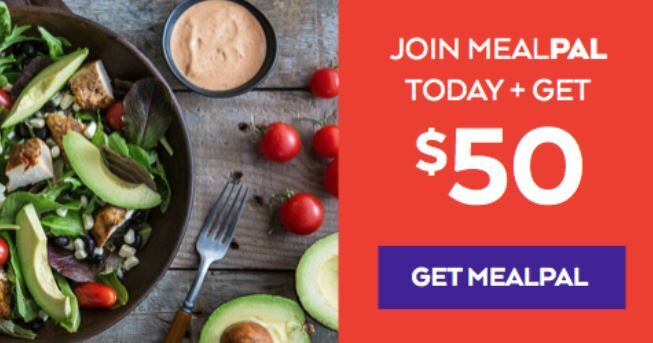 Those salads usually cost around $12 if you were to get it directly from sweetgreen, but because you’re a MealPal member, you can get it for around $6. Now of course, you can’t pick the salad you want, add anything or customize your order, but saving 50% off on sweetgreen is obviously a great deal. But you have to be quick, sweetgreen only allots a limited number of the chosen salad and as expected, the salad sells out really really quickly. On top of that, we’re not sure how long sweetgreen will offer up their salads on MealPal — we think it’s an acquisition test to get others hooked on sweetgreen. Obviously if sweetgreen isn’t making enough money or seeing benefit from it, we won’t be seeing their salad bowls on MealPal any longer.